We have all been there. We have a certain book, movie, song that we have loved and still love. Something we can always look back and got that safe-feeling. But, what happens when you heard the terrible words : remake? cover? sequel? Call me conservative, but sometimes it is nice to let things as they are. Not always, new is better and here I will show you my personal experience. Many >__&lt;"" years ago, I was a teenager living in my small village in north-east of Italy dreaming of...England. I´ve always been a British-Fan and I loved to collect anything "made in England". I used to search in any newsagent for English magazines and sometimes I was lucky enough to find one - like J17. I know, if you are British... you must be thinking - you are OLD ;) If not, J17 was a ´90 teen magazines with any possible pop idols, advice columns and neon coloured headlines - for Italians, yes this was the British "Cioé ". What I loved about it was not the snogging techniques articles - yuk!- but the very last page : "Diary of a crush" episode teen-romance. I was obsessed with it! Edie, the main character, was a cool girl with a complicated love life who was making bad choices but growing up more mature in each episode. And...com´on, she was in a band! and Dylan, yes "the boy"....well he introduced me to the world of "arty boys"...very cool - with the kind of look impossible re-create, very complicated and moody...and just charming. I could not believe my luck when one summer I found with the magazine a free "Diary of a crush" book called "Losing it". Believe me, even now , I know where this book is on my shelf in my room at my parent´s house back in Italy. I had to have read it hundred of times. 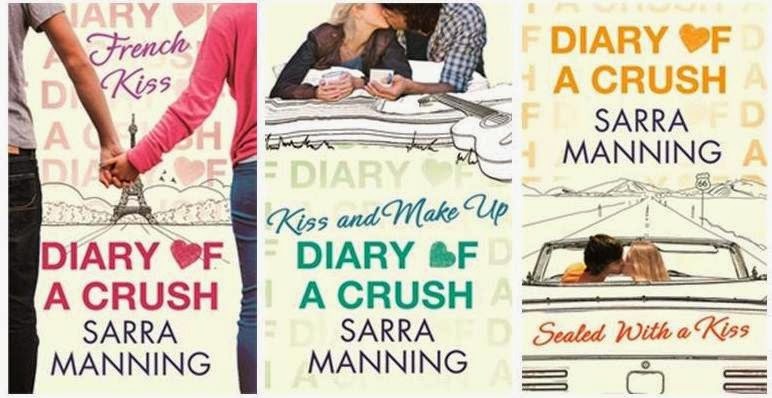 During the years , I of course Google the author - Sarra Manning- finding out that my beloved book series was released in England in 3 books - but quite hard to reach in Germany where I am living now. So, even if I always been curious about the destiny of Edie&Dylan, at one point I gave up trying, letting this a good memory of my teen years. All changed when last December, my brother gave me a Kindle as Christmas present. I casually look for this series in the Amazon book shop...and boom! There they were! I immediately purchased all of them...knowing how risky this was. You know...what if things didn´t end well?Well, I didn´t know that there was a bigger problem about this e-book new release. As you can imagine, these books were set in the ´90, yes the era without smartphones, facebook, twitter...but a lot of brit-pop. I can see why the book editor asked Sarra Manning to kind of re-edit these book with current pop culture reference....well, even if I can understand that for a current teenager it is hard to understand a world without digital media...what about the ´90 references? It made no sense to me these changes also because when you read the book, you clearly understand that it is not set in 2014. I mean, the characters don´t text, don´t google everything, don´t use facebook....so, why did they have to change references about Blur or Leonardo Di Caprio? This new 2014 references not only made me feel massively OLD - but depressed too. It wasn´t my beloved book anymore....re-style it, really lost the magic of it. 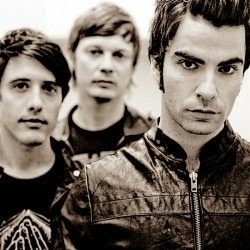 I can still quote by heart the moment when Edie sees in a fancy hotel Steve Jones from Stereophonics. Yes, let me tell you something, in the new version Edie sees someone I had to Google because I had no idea who he was.... Why? It´s 2014 and I still think Steve Jones is incredibly hot and Stereophonics better than ever.... I don´t understand why in the middle of ´90 revival - Doctor Martin´s, Lennon Sunglasses everywhere- it was not possible to let these books as they were. And even if now I am relivied to know that Edie will do all right...it is just a pity. Jane Austen is partly the reason why I am a hopeless romantic. You know already what I am talking about. I love "Pride and Prejudice" and ...yes, Mr Darcy included. The grumpy but super charming romantic hero. 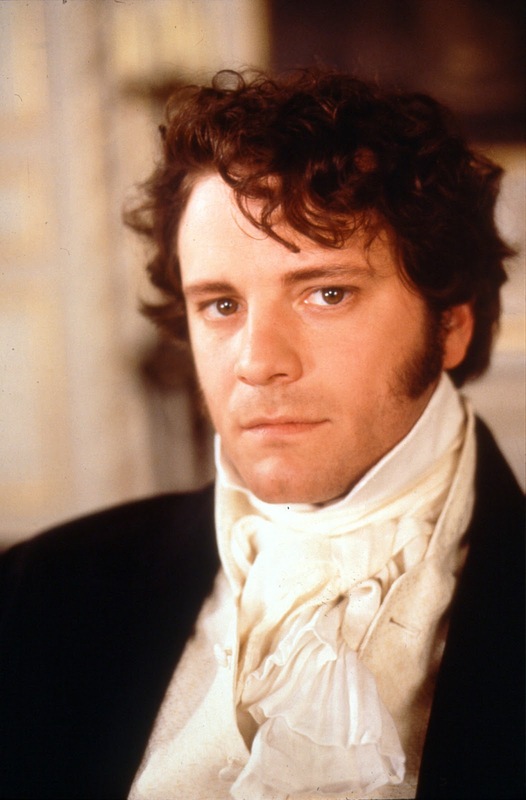 Part of my love for this character is due to Colin Firth´s Darcy portrayal from BBC Pride and Prejudice 1995 tv series- even if I still also very appreciate Laurence Olivier in ´40 movie adaptation. (Colin Firth. is. perfect.and. even. speaks. Italian.awwwwwwwwwww). When I first read the book, my English was not that good - yes, now it is not perfect either- and reading was quite hard for me. That´s probably why I love the TV and movie adaptation so much. I was not that unsatisfied with 2005 Pride and Prejudice movie with Keira Knightley- who is not my fave actress but..ok - and Matthew Macfayden - not even close to Colin, but ok. I was but, very disappointed to hear that someone wrote a sort of crime sequel of Pride and Prejudice. This someone is the English author PD James, who I actually really appreciate as my mum is a big fan of her Cordelia Gray crime stories. I really want to specify that I didn´t read the book "Death comes to Pemberley", but I just tried to watch the TV adaption aired last December 2013. The story plot takes place 6 years after the events in Pride and Prejudice incorporating the same characters. I resisted about 30 minutes and than I really had to turn it off. I don´t know why but for some reason to me, it was not right to see Lizzie and Darcy´s future...it seemed odd and...not realistic. Especially, because I knew this time that the real author was long time gone and what I was seeing was a "fan fiction" like sequel - which is good, but not for me. Maybe one day I will give it another try, but for now I prefer the old movie and TV versions. Let´s talk again about Colin Firth and Darcy. This time round is "Bridget Jones´Diary". I loved the first two book by Helen Fielding, there were hilarious and fun and of course all the Pride and Prejudice´s references included Darcy! I loved the fact that Bridget herself was a Colin Firth´s fan - even interviewing him!- and I was so happy to find out that he was going to play Darcy in the movie adaptation. If you read the books, you know that the two movies - especially the second- have some major changes compared to the books. I was not unsatisfied about this if this meant more Hugh Grant!and less Lady D - sorry! I was quite excited to read the next chapter of Bridget Jones´adventures in "Mad about the boy"....but honestly, I really hated it. It was so hard to read, multiple of times I was tempted to throw it out of the window - good thing is I was reading it on my Kindle, so no danger! I don´t want to give you too much spoiler but it is enough said that this book was a mess. The story line takes place much time later the end of the second book, so now Bridget is in her fifties and manage to grow her children...emhm *spoiler* alone. I mean, really?!?!? Why. oh why ? kill off Mark Darcy - in a super charitable way, thanks- was a really baaaaaaaaad idea. I don´t know if the intent behind it was to reprise the singleton years...but it really didn´t work and for the first time I found Bridget quite lame. and I hated that! I think you can still party at any age really, but Bridget is behaving more like a teenager than someone is 51. What about the true love? I know life is hard - we have tv news showing us this everyday, but I really didn´t expect to grieve for the depart of a fictional character -_- I was not ready to see Bridget moving on...and let me tell you, the male lovers in this book are zero appealing to me. I don´t want event to think about a movie without Colin Firth...that is all so wrong, I wish I hadn´t read this book at all. Let´s hope that the movie producers will agree with me and change once again the story. So, that was all. I kindly remind you that all of this was just my opinion and I hope I didn´t offend anyone. Sometimes new is good, but sometimes not. What do you think? any similar experiences? Vero?!?! ?sono assolutamente d´accordo con te! !perché rovinare delle cose belle ;___; mi rifiuto solo di pensare ad un film di BJ senza Colin!!! !